Sell Your House Fast In Irmo, SC. We Buy Houses For Cash. If You Want To Sell Your House Fast, Then Call Us. Because We Buy Houses With Cash All Around Irmo, SC. We can close in just a few days. So you won’t have to wait several months to close. How to sell your house fast in Irmo, SC. And no one really likes having to sign a contract with an agent that commits them to have to use only one agent for 6 or more months. And that could mean months of wishing and wondering if a buyer will come along. That’s just heart-wrenching. On the other hand, we are actual house buyers. We’ll give you a fair offer so you can sell your house fast. And on top of that, we can close in less than 30 days. We’ll take care of all the house selling details so the only thing you have to do is call us or fill out the form below. There are a lot of companies who buy homes quickly in Irmo so what makes us any different? To us, we’re not just buying your house. We’re actually partnering with you to help you solve the problem you’re in. We help people who are in tough situations, such as the death of a family member, foreclosure, divorce, difficult rental property, unaffordable repairs, and many others. We can help people by buying their Irmo property at a fair price and using all cash. So you can easily sell your house fast. If you have a property that has become a hassle to own, then let us give you a fair all-cash offer to buy it. You can bypass the long waiting time that comes with listing it with a real estate sales agent. And we buy houses “As-Is” so you won’t have to do any repairs. You can talk to someone at our office by calling 803-592-2353. 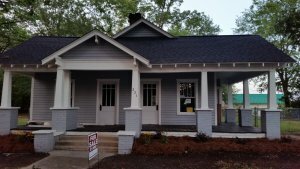 Can You Get Your House In Irmo Back After Foreclosure?